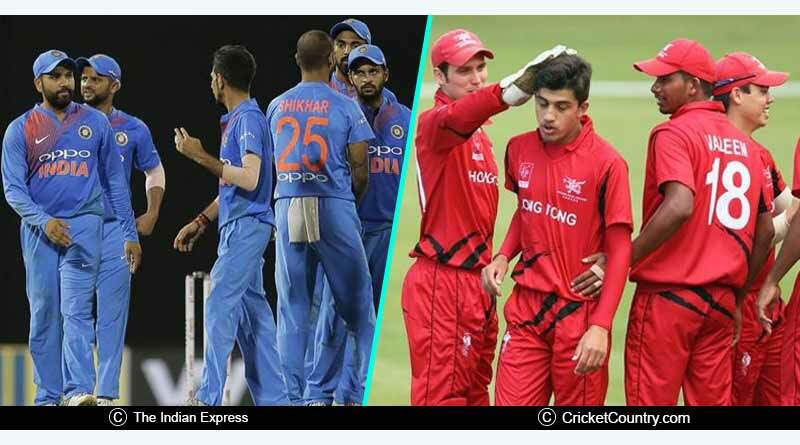 Coming back to Asia Cup 2018 India Vs Hong Kong India is set to start their Asia Cup with their tournament opener against Hong Kong on Tuesday. The Rohit Sharma lead side will be looking to put on a strong performance against a relatively low ranked side who are coming off the back of a poor performance in their first match. The match is more so important to India given they take on Pakistan on the 19th and the Indian squad will be looking to test their playing XI against Hong Kong. Having a strong history against associate oppositions, India go in as clear favorites against Hong Kong. Against a side that they defeated by 256 runs in the one-off match the two sides have played till date, India even without Virat Kohli will be quietly confident of coming out of the match with a comfortable win. A slow wicket should see India go in with the spin duo of Axar Patel and Kuldeep Yadav who will be looking to use this encounter as a dress rehearsal before Pakistan’s match. With India and Pakistan to be played on the same ground, the Indians will be looking to utilize the match to get as familiar to the conditions as possible. The stadium has hosted 25 matches till date with the chasing side winning on 19 occasions and we expect the Indians to opt to field first if Rohit Sharma wins the toss. For Hong Kong, the match is all about gaining vital experience at the international level. The side will be fully aware that barring a huge miracle it will be very tough to outage an Indian side boasting the likes of Rohit Sharma, Bhuvneshwar Kumar, and Bumrah. We hope they go out to play with all guns blaring in what should be their final experience this Asia Cup and make the match a good ambassador for upcoming nations. 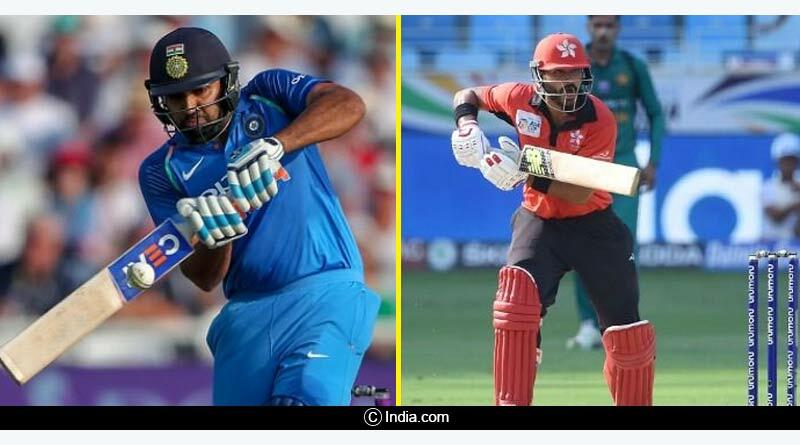 KD Shaw and Aizaz Khan will be the main players for Hong Kong come matchday with both batsmen needing to fire if Hong Kong is to make a meal out of the encounter. The match will begin at 5:00 pm IST with the pre-match show taking place an hour before on Star Sports 1,3/HD and Star Sports Select 1/HD in both English and Hindi commentary. The match can also be viewed live on the Hotstar app. Rohit Sharma, Shikhar Dhawan, KL Rahul, Ambati Raydu, Ms Dhoni, Kedar Jadhav/M Pandey/D Kartik, Hardik Pandya, Bhuvneshwar Kumar, Kuldeep Yadav, Yuzvendra Chahal, Jasprit Bumrah. Nizakat Khan, Anshuman Rath, Babar Hayat, C Carter/S Wasif, Kinchit Shah, Ehsan Khan, Aizaz Khan, Tanwir Afzal, Scott McKechnie, Nadeem Ahmed, Ehsan Nawaz. 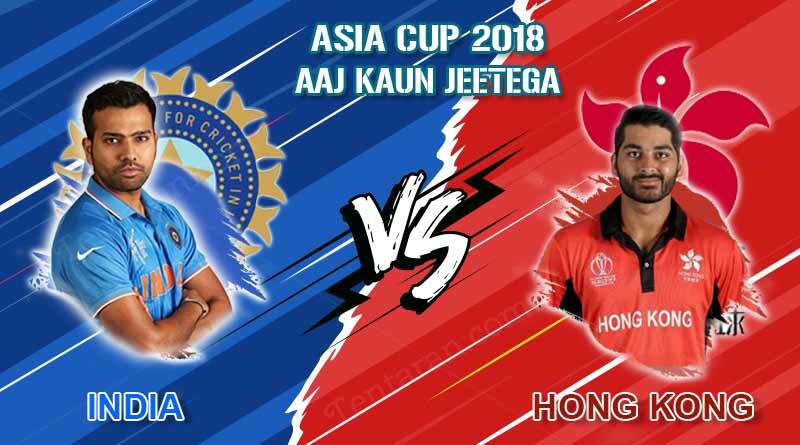 For more details on Asia Cup 2018 India Vs Hong Kong and related sports updates, like and subscribe to tentaran.com.